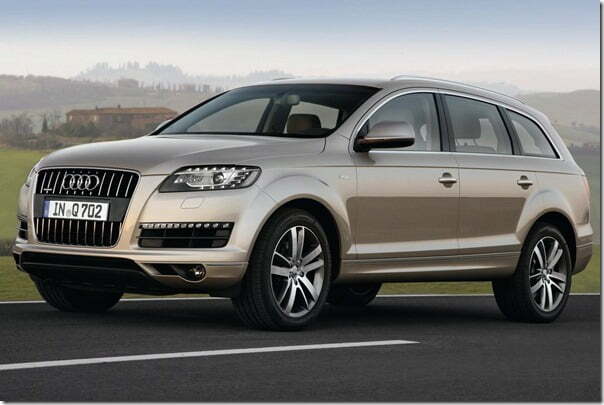 Audi India has been impacted like all other car makers in India. Moreover, being a luxury car maker, most of the Audi cars in India have been impacted on the higher side when it comes to revised excise duties and taxes on CBU luxury cars. Post Indian Union Budget 2012, almost all automobile brands in India have revised their prices. For a comprehensive repost on the same, check out – Details Of Price Increase Of Cars and Bikes In India After Budget 2012-13. Talking of Audi, the cars which are assembled in India will now cost up to 3.7% more compared to the pre-budget prices. However, the completely built units which are imported into India will see a big hike of up to 15% as the import duty on CBUs have gone up from 60% to 75% in India. Locally assembled cars or CKD model like Audi A4, Audi A6 and Audi Q5 SUV now cost about 4% more than the pre-budget rates because of increase in excise duties from 22% to 27%. The entry level luxury sedan, Audi A4 now starts at Rs. 30.60 Lakhs ex-showroom Delhi. While the CBU models like Audi A7 Sportback, Audi A8 L, Audi RS5 have become dearer by about 15% which is a steep increase. The A7 Sportback now starts at Rs. 66.04 Lakhs while the RS5 now starts at a price tag of Rs. 85.95 Lakhs ex-showroom Delhi. Audi is not the only luxury brand which has increase the prices of cars in India, Mercedes Benz has also officially announced increase in prices. The car makers who have not yet officially announced the price increase, are expected to do so in near future as there is not much of scope for absorbing all the cost increase by the car brands themselves. Stay tuned for more updates by signing up for our free email newsletter and like our official Facebook Page. Impact Of Indian Union Budget 2012 On Car And Bike Prices In India- Diesel Car Taxes Unchanged !